This page provides basic information on what is required to schedule a videoconference using equipment in south western Sydney. This includes videoconferencing, webinars and teleconferences and the South Western Sydney Clinical School implementation of Zoom web conferencing. What kind of conference are you running? Videoconferencing allows people in two or more locations to see and hear each other in real time. Participants can also use a computer or electronic whiteboard to share information between the participants. Participants can access videoconferences in south western Sydney using videoconference units or via computers or mobile devices. Webinars allow a host to broadcast an event across the internet. Webinars usually offer limited opportunities for interaction by those watching the event. Teleconferences can also be facilitated using UNSW videoconference equipment installed across south western Sydney. Attend meetings, inservices and training. Who is the host of the meeting? Who is participating in the event? What level of interaction will be required? Do participants have access to videoconference equipment? Videoconference units are available in a variety of locations across south western Sydney. Please book the appropriate room with the local administrator of that space in order to gain access to conferencing. A videoconference between two locations is usually very simple to arrange. Simply go to the venue and dial the other party using either the alias in the table above or the address book on a UNSW unit. If the other party is outside SWS, then you will need to obtain an IP address or alias for that unit in advance. Many NSW Health videoconference units are behind firewalls. If you have an IP address that starts with a 10.*.*. * or 192.*.*. * - the unit is likely behind a firewall. You will need to contact local IT support for that unit and obtain an alias which allows you to navigate the firewall. The alias will look something like 1234567@203.5.105.99. UNSW does not support calls to ISDN numbers (i.e. numbers that look like a phone number). Attempts to call a phone number from UNSW units will be rejected. South Western Sydney Clinical School utilises Zoom to allow participants to dial to multiple locations and to allow people using desktop computers and mobile devices to access videoconferences. A number of dedicated Zoom bookings are available for regular events with their details below. Full login details are available in the invitation which requires users to login to obtain. Conferences are set to autoanswer and do not require a host to commence. Please contact the School at swsydvc@unsw.edu.au to obtain a password if you are employed at SWSLHD and do not have access to these invitations. Are you hosting an event with a large number of participants where audience control is paramount or you want to broadcast with limited or no interaction from the audience? 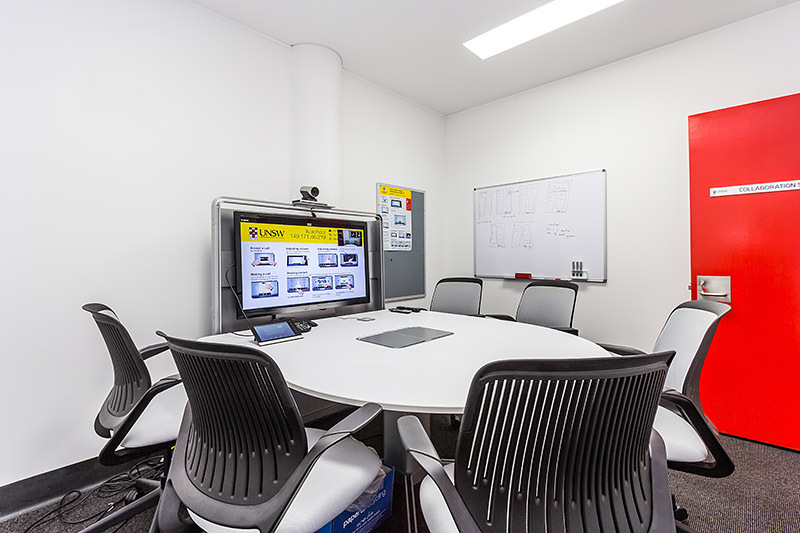 The School's Zoom implementation also allows this with up to 100 participants able to join with a broadcasting host computer and a panelist able to utilise a videoconference unit on the UNSW network. To allow users to watch your event, please contact the School to schedule your webinar using one of the prebooked webinar accounts. To operate a webinar, the host computer - which will either be the main presenting computer or someone hosting who is presenting, requires the Zoom webinar account to be installed on their computer. More informaion will be provided when a booking is made. Note, any user joining from a H323 in-room videoconference unit will be a panelist on the call and should mute their audio if not presenting. Zoom can also be utilised for VOIP teleconferences using the existing videoconference units, Zoom applications on PC, Mac or mobile apps or via telephone. Instructions for access are available using the information and invitations below (users must log in to obtain the invitation details). Please note, UNSW does not provide technical support for your videoconference. You need to ensure you understand how the equipment works prior to your event. Instructions on basic operation of the UNSW units are available in a poster in all venues including how to connect a computer and share content during the conference.